New York - The UN Security Council is set to ease a two decade old arms embargo against Somalia to help the new government in its battle against Islamist militants, diplomats said on Wednesday. The United States has been supporting a campaign by the Somali government for the embargo to be ended, while Britain and France have been more reluctant to let more arms into a country already awash with guns, diplomats said. The measure is likely to be part of a council resolution renewing the mandate of the African Union military force in Somalia which should be passed on Wednesday next week. The Security Council imposed a total arms embargo in 1992 as feuding warlords battled for control of the country after ousting dictator Mohamed Siad Barre. What does Britain want from Somaliland? - Britain knows Somaliland very well because it ruled it as a British Protectorate for 80 years. It also knows Somalia very well because it administered it for 8 years, from 1941 to 1950, when it handed it over to the United Nations as a UN Trusteeship administered on behalf of the UN by Italy, the former colonial ruler. When Somaliland asked for its independence at the end of 1950s, the British government of the time advised Somaliland’s political leaders to defer the call for independence for 10 more years. Those 10 years, the British government suggested, would be used to develop the basic infrastructure and bring the government institutions to a more advanced level that would lead to sustainable development. - Mr Siilaanyo is a great political survivor , the art that he knows best , if not the only art he knows. He survived Afweine . He survived SNM . He survived Tuur , Egal and Rayale. He survived in politics longer than anybody else. How? Mr Siilanyo makes deals. He made a deal with Siad Bare that he let him be brave and questioning against him in the day time , so he can spy for him in the night time. I am not sure of that , but many people accuse him of the double faced way of dealing with situations. - Pupils from a Muslim Boys School (TIBHS) raised £4,600 for Crisis – the UK’s national charity for single homeless people. The pupils from Tauheedul Islam Boys’ High School (TIBHS) raised the funds through the Tauheedul Mile running activity that involved 153 boys undertaking a one-mile run for the homeless people. - The Capital city of the self declared independent State of Somaliland has much to be proud of. It is home, by conservative estimates, to more than a million people and it is the national centre of commerce. By simply observing the growing corporate skyline, it is evident that this reputation will only grow. More than any other city in Somaliland, Hargeisa, is a place of great tribal diversity and the unrecognised nation?s political heart. Since breaking off the unity forged after independence with the South in 1991, Somalilanders, as the nations citizens like to been called, were governed from Hargeisa. The capital of any nation is the focal point for politics, business, trade and individual ambition. Hargeisa is no different. 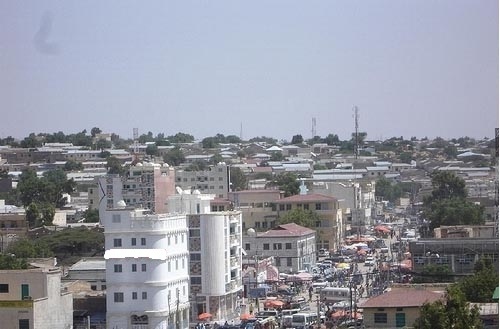 Today like Bombay and London, Hargeisa is a city facing enormous problems that can only be resolved by visionary leadership, political will and national economic redistribution. What are the impediments to Somaliland´s growth and are we emotionally bruised: A Retrospective? - This sort of article is an oddity for this organization because normally we chose to focus on more pertinent issues that strengthen the bedrock Institutions Somaliland needs to augment in order to sustain itself; a strong and living Constitution, independent and ethical Judiciary and Media. We also campaign for Somaliland' s recognition through media correspondence and back door lobbying. - It is my great pleasure to welcome you, Islamically, to the IOU experience in which the various avenues of divinely-revealed knowledge have been opened for you. This opportunity has been made possible by the ‘accidental’ invention of the Internet, a human creation resulting from divine inspiration. At a time when Islamic learning is caught between fossilization and revival, hijacked by modernism and extremism, a chance to promote its teachings in their original unadulterated form was born. Allahu Akbar - surely this is a mercy from Allah. - Dhaqanka xun diid. Garashada xumaha iyo wanaagu waa dhalan Ilaahay aadamaha ku abuuray. Meel kasta oo uu aadamahu joogo, ama diin kasta oo uu rumaysan yahay, ama hodan iyo sabool midka uu yahay waxay ka siman yihiin inay u arkaan in beentu xun tahay, runtuna wanaagsantahay; in tuugadu xuntahay, tuugo la’aantuna wanaagsantahay; in khiyaamadu xuntahay, daacadnimaduna wanaagsan tahy; in samir la’aantu xuntahay, samirkuna wanaagsanyahay; in bakhaylnimadu xun tahay, deeqsinimaduna wanaagsan tahay; in aqoon la’aantu xun tahay, aqoontuna wanaagsan tahay; in mabda’ la’aantuna xun tahay, mabda’u wanaagsna yahay; in adoonsigu xun yahay, xornimaduna wanaagsan tahay; in garsoor la’aantu xun tahay, garsoorkuna wanaagsan yahay; in maamulxumadu xun tahay, maamulwanaaguna wanaagsanyahay. - Mudane Madaxweyne, ugu horayn, aniga oo xushmo iyo xurmo dheeri ah kuu haya waxan kugu amaanayaa oo aan waliba kugu hambalyayanayaa xilka aad sida haboon u gudato! Aad iyo aad ayaan ugu diirsanay halka dalku uu durba marayo dhan kasta oo loo eegoba! Waxana guud ahaan aad samayseen adiga iyo maamulkaaguba waxii loo baahnaa. Ha yeeshee intaa ka dib, waxan halkan ka jeclaystay inaan talo muwaadin oo aan is-leeyahay waxbaa ku sii hagaagaya kuu soo jeediyo. Waxan is-leeyahay wax inoogu kordha mooyee waxba inagaga xumaan maayaan hadii madaxwaynaha qaranku uu ku dhaqaaqo talaabooyinka aan hoosta taxay. Waana talo walaaltinimo oo ALLE dartii ah. The ISG known as the "Aqoonyahanka Madaxabanaan" appeared in Somaliland at an opportune moment to fill a gap in the role of the organized civil society, the intellectuals and other professional elite in actively the political development processes of the country. The name, both its English and Somali versions, for some people sounded pretentious: "scholars" and "aqoonyahan", and raised questions as to who qualified the members to acquire such lofty titles. There is logic in such questioning, but the fact of the matter is, the name was never debated and the group were more into addressing the issues at hand thentaking time to find a name for their voluntary association. - Minister of Fisheries and Marine Resources Hon Abdillahi Jama Osman (Geeljire) has announced that a French University which teaches Marine Science and Technology will in the near future begin to make provisions for advisory and research services with Berbera Maritime and Fisheries Academy. Hon Abdillahi Jama Osman (Geeljire) who is currently in the UK, said Somaliland will benefit from lately forged partnership with EU countries during the recently held Paris conference on Maritime and piracy issues affecting the Navies of EU countries of which Somaliland was among the few countries invited. - Xorriyadda Somaliland maaha qiimaheedu mansab Xamar laga doonto, maaha dudmo dumareed, maaha….Waa Go'aan ummadeed oon gorgortan laheyn, waa god madow oon dib loogu dhicin, waa.. Waa... Waa..!Waxa dhowaan warbaahinta la wad-waday oo la soo dhex dhigay mabda'a ujeedadiisa looga dan leeeyahay in lagu xagal daaciyo go'aankii Ummadda Reer Somaliland ee la soo noqoshadii xoriyadoodii ka dayacantay 1960kii. The ruling party in the tiny strategic Horn of Africa nation of Djibouti said on Saturday it had won a parliamentary election, as the opposition denounced what it called widespread fraud during voting. Djibouti, with a population of some 800,000, occupies a strategic position at the entry to the Red Sea and is home to the biggest French and United States military bases in Africa. - Nature was not provident that year. Hassan and his family consisting of a mother and their four children lived in a lone camp. Their total subsistence depended on the meager milk-yield their three lean She-Camels could offer twice a day – morning and evening. One evening an unexpected guest camped with them. Impelled by his innate hospitality instinct, Hassan poured all the milk-yield of that evening into one big vessel and presented it to his guest. Oblivious to the harsh living conditions of the hosting family the inconsiderate guest had drawn off almost all the milk brought to him. The guest repeated the same practice in the morning when the total morning family milk-yield was again presented to him. - A breakaway, semi-desert territory on the coast of the Gulf of Aden, Somaliland declared independence after the overthrow of Somali military dictator Siad Barre in 1991.The move followed a secessionist struggle during which Siad Barre’s forces pursued rebel guerrillas in the territory. Tens of thousands of people were killed and towns were flattened.Though not internationally recognised, Somaliland has a working political system, government institutions, a police force and its own currency. The territory has lobbied hard to win support for its claim to be a sovereign state. Somaliland has escaped much of the chaos that plagues Somalia. - Awakening the first morning in Hargeisa at the Edna Adan Ismail Hospital to the sound of the Muezzin Call to Prayer, I peaked out the window where I sleep in the hospital. Beautiful women walking into the courtyard of the hospital greeted my jet-lagged eyes. Multicolored flowing robes and head coverings. Like a large group of colorful nuns. This is a teaching hospital. Classes are in session every day on the second floor, and there are nursing students and midwifery students taking on most of the work on the wards. Young men and women studying, working hard, and filled with hope. One nurse confided to me that her dream after completing her courses here is to go to Medical School and become a Pediatrician. Another had no idea how much she would like taking care of the newborns until we started the Neonatal Intensive Care Unit. Now she wants to specialize in Neonatal Nursing. - Changes are brewing in tiny Djibouti, an impoverished postage-stamp of a country plunked atop some of the most strategic territory on earth. Tomorrow the country, which is home to a disproportionately-young population of around 900,000, will hold the most open election in its history. In the past few days, Djiboutians have witnessed their nation's first televised political debates, and the return of a long-exiled opposition leader. Thanks to the introduction of a proportional electoral system, their next parliament will be the first in the country's modern history to seat opposition candidates. From the 3,000-carat Cullinan Diamond in South Africa, to Tanzania’s rare Queen of Kilimanjaro tanzanite stone –Africa is known to be home to some of the of the largest and most radiant precious gems ever found. Africa.com takes a closer at some of the continents’ biggest and best finds. The Cullinan diamond is the big daddy of all the diamonds in the world. The precious gem is the largest rough diamond ever found, weighing over 3,ooo carats. Found at a mine in South Africa in 1905, the gem was divided into smaller stones. - The tiny Horn of Africa country of Djibouti is poised to have its first legislative elections with opposition parties allowed to stand for the first time since the independence in 1977. With a population of fewer than one million, the former French colony has been off the radar of the international community, despite being home to the biggest French and US military bases in Africa and its position as gateway to the strategically vital Red Sea. The regime of President Ismael Omar Guelleh, in power since 1999, is facing a serious challenge from opposition groups which joined forces in the Union for National Safety (USN) for the first time since 2003. – President Silanyo has urged citizens to commit to national cohesion and unity while cautioning the fourth estate against unethical disbursement of information. H.E Ahmed Mahmud Silanyo made these comments during a ceremony in Hargeisa where 100 personalities were bestowed with certificates honouring them for services and contributions towards national development in their respective fields. 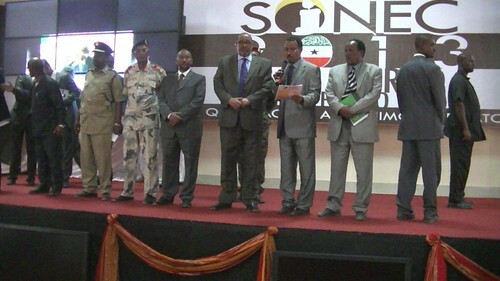 The head of state who was the chief guest at the "Value and Honour Citizens" award ceremony also received certificates of honour on his own behalf and for the three former presidents of Somaliland late Abdirahman Tuur, Late Mohamed I Egal and Hon Dahir Rayale Kahin respectively who were all recognized for their leadership of the nation during various stages of its evolution from 1991 immediately after separation from Somalia to date. - Every hour and a half, most days a week, a plane with American markings flies itself out from a tiny northeast African country in a relentless quest to spy on, and sometimes kill, the hundreds of global jihadists that reside just across the Red Sea. Most people have never heard of, or routinely giggle at the name of this country, Djibouti, pronounced ‘ji-booty,’ which is essentially a city-state port wedged between Eritrea, Ethiopia and Somalia. Djibouti, formerly known as French Somaliland, is a primarily Muslim nation with an economy based on Djibouti City’s industries, port and pastoral outskirts. The current president, Ismail Omar Guelleh, was chosen by his uncle in 1999 to succeed him, becoming the second leader of a free and independent Djibouti. - Recently, the Obama administration recognized the United Nations-backed, nominal Somali government. 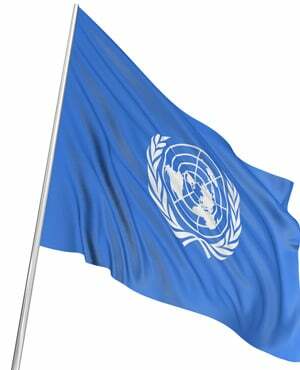 The so-called government was the byproduct of a scam perpetuated by the U.N. for more than 10 years. 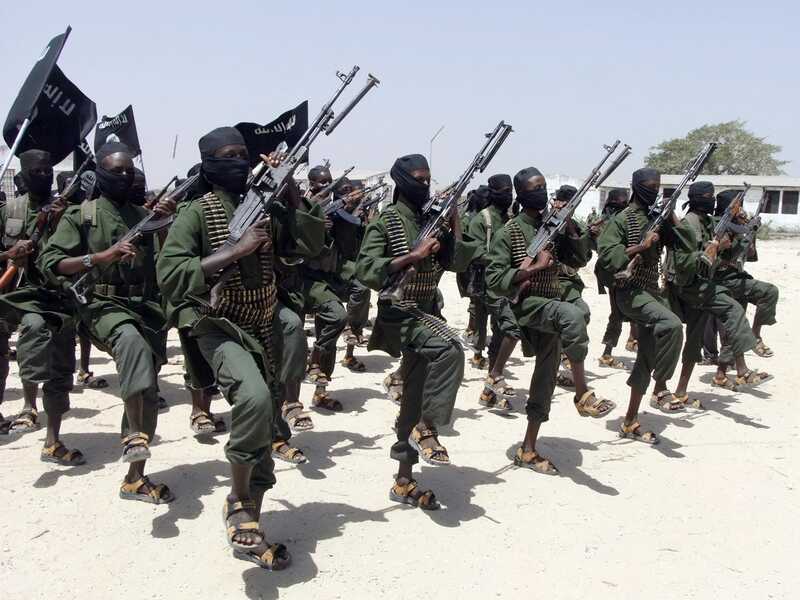 It involved billions of dollars in foreign aid and the blood of some of 17,000 African soldiers, who are United States’ proxy military against al-Shabab, the al-Qaida affiliate militant group in Somalia. Yet the country is no better off than when the United States intervened in the early ’90s. - What makes a good leader? Good leaders encourage people to move forward with excitement, inspiration, trust, and vision. A common thread that consistently comes into discussion is leading by example. As a leader you can say whatever you want, but the actions you take show who you are. Every decision you make; every word you speak, no matter how little, has an impact. Whether or not that impact is good one or a bad one is dependent solely if your actions run parallel to your words. A good leader looks closely at his own behavior and fashion himself into the kind of person that others will want to follow and emulate. Wacdarihii ''Gaariye'' & Golaha Guurtida -05-01-1997. - Cape Town is one of the most beautiful cities in the world, let alone Africa, having already won a number of prestigious international travel awards. It’s where most people in South Africa wish they lived. It possesses all of the amenities and sophistication of a urban area, yet the pace is decidedly relaxed, with the city being nestled between the ocean and the mountains, creating an ideal mix of work and play. A short drive away and you can find yourself in one of the hundreds of vineyards that produce some of the world’s top wines. While summers (October–April) are lovely, winters can be dreary with much fog, rain, and wind. That’s why some would prefer to call Cape Town the “Windy City”—it’s in fact known at the “Mother City” and is the caretaker of the insurance and now burgeoning digital sector. It’s also where you’ll find the advertising execs and creatives, with many retailers and fashion designers headquartered there. -- The Djibouti Radio Television (RTD) will on Monday evening begin to broadcast political debates between candidates of various parties to contest in the Feb. 22 legislative elections. This will be the first televised political debate in the history of the Red Sea country, which has a population of less than a million people. For the next three days, the Djiboutian voters will witness three debates between the heads of various political parties trying to highlight the key points in their manifestos. - Kenya will establish a new diplomatic mission in Luanda, Angola. This will happen after funds are made available by the Treasury, Foreign Affairs PS Thuita Mwangi said. Speaking in Mombasa, the PS said the move is part of the Government’s strategic plan to foster economic diplomacy.? “We received clear instructions from President Kibaki on the need to focus more on ensuring our expansion abroad is pegged on economic diplomacy which will be of mutual benefit to both countries,’’ he said.? - Qat is prevalent in Kenya, Ethiopia, Yemen, Djibouti, Somalia, and Somaliland. It is a fresh leaf and flower buds that are chewed, to keep its use in fresh; it is localized to the immediate areas of production although in recent years Qat trade has also spread to Europe and America. Qat is chewed at social gatherings; at homes, business and political discussions, usually after mid afternoon lunch. But some people also eat in the morning time (Jabbane) and late in the night. (Biyo-raacis). The flower buds of the tree contain a substance which is mildly stimulating, anorexigenic and if used excessively affects the judgment and self control, suppresses eating and sexual desire. It is responsible for loss of desire to work and unproductive behavior. The stimulant also affects wear off by bedtime. It is an intoxicant that clouds, obscures or veils consciousness. Qat is the most important cause of broken bones and broken homes. In Qat munching memory deteriorates, personality degenerates and character disintegrates. - Somaliland enjoys a certain amount of strategic advantage. It has a long coastline and deep sea ports, and could eventually serve as a major energy hub for East Africa. Foreign oil companies are already on to this and exploration is beginning in earnest. Chevron was drilling in Somaliland in the late 1980s, and Conoco was laying airstrips, but these licenses were granted by the Somali government, which was taken over by militias in 1991 - a development that saw Somaliland declare independence that same year. So now we’re starting from scratch. There is the little matter that Somaliland is not an internationally recognized country, but foreign investors do not seem to be bothered by this technical inconvenience. - From 18 May 1991 when Somaliland announced its independence from the rest of Somalia, numerous achievements have been accomplished. Democracy, economy, security, health, education, infrastructure, trade and other social services have been improved as well. When the people returned to their homes at the end of the holocaust war between SNM and Somali military government led by Siyad Barre, shelters, schools, hospitals, roads as well as other buildings in major Somaliland cities were completely destroyed. Sumal Baraar Kumo Jiro-e Siilaanyo Waa Madax! - Meeshu waa Djibouti iyo habeen la xusayay 40 guuradii qoristii farta Soomaaliga ee 1972-kii hirgashay! Dad ka kala yimid degelada Soomaalida afkeeda la xusayaa degto oo la soo marti qaaday oo jaad kasta oo bulshadu ka kooban tahayba leh ayaa madasha fadhiya. Waxa raga golaha dooyaysatay ka mid ah, oo ah waliba ninka ugu tunka wayn leh marka dhan kasta laga eego, haday tahay Aqoon, waayo-aragnimo, cod-karnimo, magac, maamuus, milgo iwm, madaxwaynaha Jamhuuriyadda Somaliland mudane Axmed Maxamad Maxamuud ''Siilaanyo''!!! Medeshi- I have obtained this document from the National Archives at Kew , Richmond - West London and then turned it into a PDF file. Here is one of the paragraphs of the publication written in July 1956 : The Somalis are becoming increasingly bitter and less confident of the ability of Her Majesty's Government to assist them. If no new initiative is taken there is likely to be serious trouble in the Protectorate itself and we cannot rule out the possibility that senior officers of the Government might ask to be relieved of their posts in a situation which they might regard as hopeless. It has become urgently necessary to reconsider our future policy in the Protectorate and in the Horn of Africa generally. The courses of action open to us would appear to be as follows. - First let me ask for your indulgence for addressing this letter to you without the ceremony of Protocol, but I believe it is permitted in the face of great national necessity to trespass on the finer etiquettes of diplomacy and the subject of my letter does, at least in my eyes, qualify as such. I am writing for your information and I beseech you to glance through it, a memorandum on the origin of Somaliland and its present dilemma. Diplomats refer to Somaliland in a derogatory sense as a self-declared Republic. I see no shame in that epithet but on the contrary I take pride in it, remembering that the Great Kingdom which you have the honor to represent . - Wasiirka Arrimaha Debadda Somaliland Dr Maxamed C/laahi Cumar ayaa ka warbixiyey nuxurka qodobadii ay Madaxwaynaha Somaliland Axmed Maxamed Maxamuud (Siilaanyo) iyo Wasiirka Khaarajiga Britain ay ka wada hadleen, kaas oo sheegay inay isla soo qaadeen labadaas masuul arimo door ah oo ay ka mid tahay Amniga, Siyaasada iyo shirka bisha May la filayo inuu Magaaladda London uga furmo Somaliland iyo Somalia. Dr. Maxamed C/laahi waxa uu xusay inay dawladda Britain aad u danaynayso in xukuumadda Somaliland door muuqda ka ciyaarto xasilinta amniga mandaqada Geeska Afrika, kaas oo tilmaamay inuu kulankaas Madaxwayne Siilaanyo iyo Xoghayaha Amuuraha Debadda Britain inuu ku dhamaaday is afgarasho. Waxaanu Wasiir Maxamed Cabdilaahi sidaasi ku sheegay Waraysi uu shalay magaalada London ku siiyey Idaacada BBC-da laanteeda Afka Soomaaliga. - Madaxweynaha Jamhuuriyada Somaliland Md. Axmed Maxamed Siilaanyo iyo weftigii uu hogaaminayay ayaa kullan xog-wareysi ah la yeeshay Jaalliyada Somaliland ee UK, kullankaasi oo ay madaxweynaha ku weheliyeen Wasiirrada Arrimaha Dibada Dr.Maxamed C/llaahi Cumar, Wasiirka kalluumaysiga iyo kheyraadka Badda Mudane Cabdilaahi Geeljire, Gudoomiye-xigeenka 2aad ee Xisbiga Kulmiye Maxamed Xaaji Waabeeye, Xeer ilaaliyaha guud ee Qaranka Xasan Aadan iyo Xildhibaan Cali Mareexaan. Waxa ugu horeyntiiba ereyo kooban oo soo dhawayn ah halkaasi ka soo jeediyay Safiirka Wareega ee Somaliland Mudane Kaysar Cabdilaahi, Gudoomiyaha xisbiga Kulmiye ee UK Xarir Xersi, iyo masuuliyiinta Jaalliyada iyo Madax-dhaqameedyada reer Somaliland qaar ka mid ah. - Somaliland has few tourist attractions, but the rock paintings at the Laas Gaal cave complex are becoming increasingly popular with local and overseas visitors. Since a team of archaeologists stumbled upon the paintings in 2002, a modest but growing number of tourists have come to explore Laas Gaal. 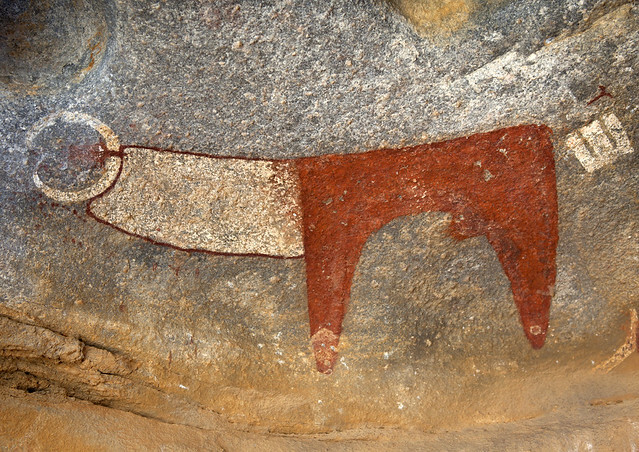 Mohamed Amin Jibril, who lives in Somaliland, shares his experience of visiting the caves, home to some of the earliest known rock art in the Horn of Africa. - The military offensive against the al Shabab militia in Somalia has made major advances over the past year. However, al Shabab has not been defeated. U.N. monitors reportedly say the group is receiving weapons from distribution networks with ties to Yemen and Iran. Reuters quotes sources who say U.N. monitors report weapons are entering Somalia through Puntland and Somaliland in the north. From there they are transported south where al-Shabab is battling AU, Somali and Kenyan forces. The news agency says the weapons include IEDs, or improvised explosive devices and machine guns and that the weapons were made in Iran and North Korea. - A delegation from the Republic of Somaliland led by President Ahmed Mohamed Mahmoud Silanyo met with the UK Foreign Secretary, Rt Hon William Hague, at the Foreign & Commonwealth Office in London on 11 February. The President was accompanied by the Minister of Foreign Affairs Dr. Mohamed Omar, and the Minister of National Planning Dr. Saad Shire. President Silanyo took the opportunity to brief the Foreign Secretary about the present security situation in Somaliland, highlighting both the historic record of peace and stability that the country has enjoyed for over 21 years as well as the specific measures his administration has taken to consolidate and expand on these achievements. 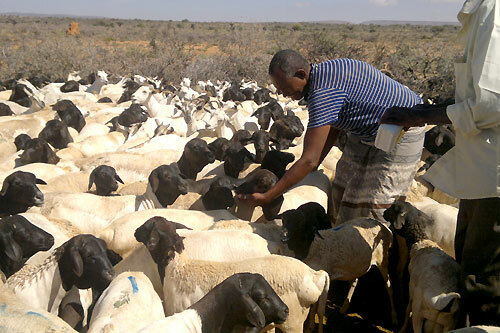 - Nairobi/Geneva (ICRC) – The International Committee of the Red Cross (ICRC), working with the Somali livestock and animal husbandry authorities, has just completed a major animal-health campaign in Somaliland. Around 700,000 head of camels, sheep and goats were examined and if necessary treated for parasites or other health problems in the Togdheer, Nugaal, Sool and Sanaag regions. The campaign benefited over 43,000 people economically dependent on these animals. To: His Excellent the RT Hon William Hague (Secretary of State for Foreign and Commonwealth Affairs. - Fanaanada Caanka ah ee Khadra Daahir Cige oo ka mid ah fanaaniinta aadka loo jecel-yahay codkeeda ayaa waxay markii ugu horeysay taariikhda tirisay, Gabay baroor-diiqa oo la yidhaahdo “Garab Igu Banaanaa’ oo ay u tirisay Alle ha u naxariiste Guddoomiyihii hore ee Bangiga dhexe ee Jabuuti Marxuum Jaamac Maxamuud Xayd, oo ay ahaayeen Walaalo isku dheer, oo ku geeriyooday dalka Kenya taariikhu markey ahayd 11/1/2013. kadib markii uu madaxa-dhiig kaga furmay afar cisho ka hor. - The British people are known for their politeness. Therefore, we (i.e. my humble soul and my fellow citizen Somaliland) would like to politely tell them, in their language, to go home and stay home. All of a sudden, the British government has made an announcement advising its citizens to leave Somaliland since it is no longer safe for them to stay there. This is the first time this advice to British citizens to immediately leave Somaliland is given by the British government. Therefore, the British authorities must have obtained undeniable intelligence that a highly dangerous terrorist plot is imminent to happen. - Waxa aanu anaga oo ka tiiraayaysan dhamaantayo geeridii naxdinta lahayd ee ku timid marxuum, Macalim Sh. Cabdilaahi Suufi-Jibriil oo shalay ku geeriyooday magaalada Gabilay, halkan tacsi uga diraynaa dhamaan qoyskii, qaraabadii iyo qaranka Somaliland ee uu ka baxay, marxuumkana (Sh.Cabdilaahi Suufi-Jibriil) waxan Ilaahay uga baryaynaa inuu janadii Fardawsa Ka waraabiyo. - “Madaxweynaha Jamhuuriyada Somaliland Mudane Axmed Maxamed Maxamuud Siilaanyo iyo Wafdi uu hogaaminayo ayaa maanta soo gaadhay magaalada London ee xarunta Dalka UK. Wafdiga Madaxweynaha oo ka soo kicitimay Dalka Kenya oo ay ku sugnaayeen maalmihii la soo dhaafay ayaa waxa sii heer sare ah ugu soo dhaweeyay gegida diyaaradaha ee Heathrow Airport masuuliyiin tiro badan oo ka kala socotay Jaaliyadaha reer Somaliland ee ku nool dalkan Ingiriiska, Masuulyiin ka tirsan Xukuumada Somaliland, saraakiil ka socotay dawlada Britain iyo waxgarad kala duwan oo ku nool dalkan UK. Sitting at a meeting with business leaders, it is common to see each person with two phones (one for Telesom and one for SomTel). The telecommunications market is completely unregulated. Accordingly, Telesom users cannot contact SomTel users unless they keep a second SIM card for the SomTel or keep a second phone with a SomTel SIM card. Yes, this situation seems a relic of the early mobile phone days and a sad manifestation of bad government oversight. Such lack of cohesion in the telecommunications market and a heavily underdeveloped broadband system frustrate the unaware traveler and investor. - THE sleep has been long and deep. In 2005 Harvard University produced more scientific papers than 17 Arabic-speaking countries combined. The world’s 1.6 billion Muslims have produced only two Nobel laureates in chemistry and physics. Both moved to the West: the only living one, the chemist Ahmed Hassan Zewail, is at the California Institute of Technology. By contrast Jews, outnumbered 100 to one by Muslims, have won 79. The 57 countries in the Organisation of the Islamic Conference spend a puny 0.81% of GDP on research and development, about a third of the world average. America, which has the world’s biggest science budget, spends 2.9%; Israel lavishes 4.4%. - A concerted campaign to raise awareness of the issues in Djibouti has been launched in Europe by Friends of Djibouti Association, a non-profit organisation, founded at the end of 2012 to encourage a peaceful change of the current political course in Djibouti. The first campaign is focussing on the parliamentary elections that are taking place on 22 February 2013. This is a critical time for Djibouti and its people who want to have a real democratic and transparent electoral process for the first time in many decades. - President Ahmed Mahmud Silanyo has received an official invitation for talks in London. He is leading a delegation which includes First Lady Amina Weris and Foreign Minister, Dr. Mohamed A Omar and other officials. No agenda has been made public but Somaliland sources expected the talks with William Hague, the Secretary of State for Foreign and Commonwealth Affairs, will cover the modalities for a resumed dialogue between Somaliland and Somalia, as well as Somaliland's participation in the May conference.The Somaliland President is also likely to raise his concern over the UK's issue of a security alert on Somaliland recently. - A major report on the CIA’s rendition, detention and interrogation (RDI) program was released today by the Open Society Justice Initiative. It is one of the most comprehensive examinations of the program to date. Somaliland seems to be an orphan among African nations for two decades!!! - The realization of duties is very significant often to standardize for the services delivered in a good quality and reliable levels. The government has different agencies and units that involved in very huge and serious tasks which are the heart of the governmental systematically operations always and deserve quite energetic and competent individuals to be engaged this area in order to increase the better services of the government mainly security and peace for both national and international levels. - Double Olympic gold medallist Mo Farah and his wife Tania have criticised the Government over school sport funding cuts and called on the coalition to protect the legacy of the Games. 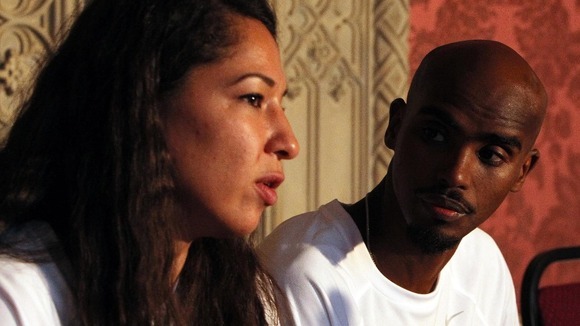 Mrs Farah, who is helping her husband set up the Mo Farah Foundation, said the cuts, six months after London 2012, were a "huge shame" and "counterproductive". She criticised cuts to sport at grassroots levels, and said more should be done for sport in state schools, particularly at primary level. Xuska Aasaaskii Ciidanka Qaranka & Bixintii Darajada! - We stand in solidarity with Somaliland’s foreign minister Dr. Mohamed Abdilahi Omar’s unequivocal denunciation of Britain’s Foreign Office which was later echoed by Somaliland’s ambassador at large kaysar abdillahi. Somalilanders wasted no time in taking to streets to express their unified displeasure with Britain’s political expediency. The UK’s current maneuver is mere a political cover rather than an identified substantial threat that merits the distressing of their nationals in Somaliland. - Madaxweynaha Jamhuuriyadda Somaliland Md. Axmed Maxamed Maxamuud ''Siilaanyo'' ayaa markii ugu horaysay saaka darajooyin kala duwan ka simay oo ku taxay, taliyeyaasha ciidamada qaranka, ku xigeenada abaanduulayaasha ciidamada qaranka, saraakiisha Bileyska, Taliyayaasha Asluubta iyo waliba Madaxda Ciidamada ilaalada Xeebaha. Maanta oo ku beegn 19-guuradii Aasaaska ciidanka qaranka Somaliland, waxa farxad u ah dadka reer Somaliland guud ahaan, gaar ahaanna ciidamada kala duwan ee dalku inay darajooyinkii mudodaba badan la naawilayay garbahooda sudhan tahay, oo maantaba ay 12 sarkaal ka gudoomeen madaxwaynaha Somaliland darajooyin ay ugu tiro-gali doonaan ciidankooda. - VOA-Somali, ''Faaqidaadda Tobaadka'' waxa ay ku soo qaadatay doorkan oo uu ku saabsan yahay, digniintii dawlada Britain (UK) ay dhawaan soo saartay ee tilmaameysay, in khatar dhinaca ammaanka ahi ay ku soo fool leedahay Somaliland! Iyo waliba, jawaabta ay dowladda Jamhuuriyadda Somaliland ka bixisaay digniintaas. Barnaamijka waxa lagu soo casuumay oo dood isku weydaarsanaya mas'uuliyiin ay ka mid yihiin. Maxamed N. Caraale "Duur", Baashe Maxamed Faarax, Faysal Cali Waraabe iyo Boobe Yuusuf Ducaale. Barnaamijka oo dhan halka hoose ka dhageyso. Investing in Somaliland- Is it Dubai 20 Years Ago? - Somaliland. Not Somalia. Somaliland has been an independent region of Somalia proper for more than 20 years. Yet, most Westerners do not associate the former British protectorate with 20 years of independence and stability but rather with the instability and chaos of Mogadishu (which is not part of Somaliland if you did not know). As I crossed the Somaliland border by land, I was quickly reminded of the Kurdistan part of Iraq. In similar fashion, Kurdistan is not far from Baghdad but bears little resemblance to the chaos of the Iraqi capital city. Further, Somaliland similarly bears little resemblance to Mogadishu. Rather it looks like Dubai 20 years ago. The construction and economic activity seemed out of place in Dubai 20 years ago, but now it is the norm and the epicenter of the booming Middle Eastern financial sector.